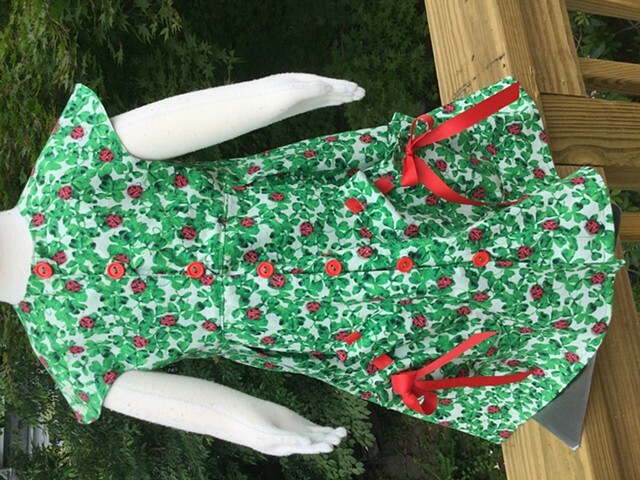 Ladybugs are crawling in the clover all over this cheery big-skirted dress. Sized for Pre-School (3-4 years), it measures 22” across the chest and 22” from shoulder to hem. Two big pockets lace together with red grosgrain ribbon, seven buttons close down the front close with loops, cap sleeves, 100% cotton, bodice is completely lined.